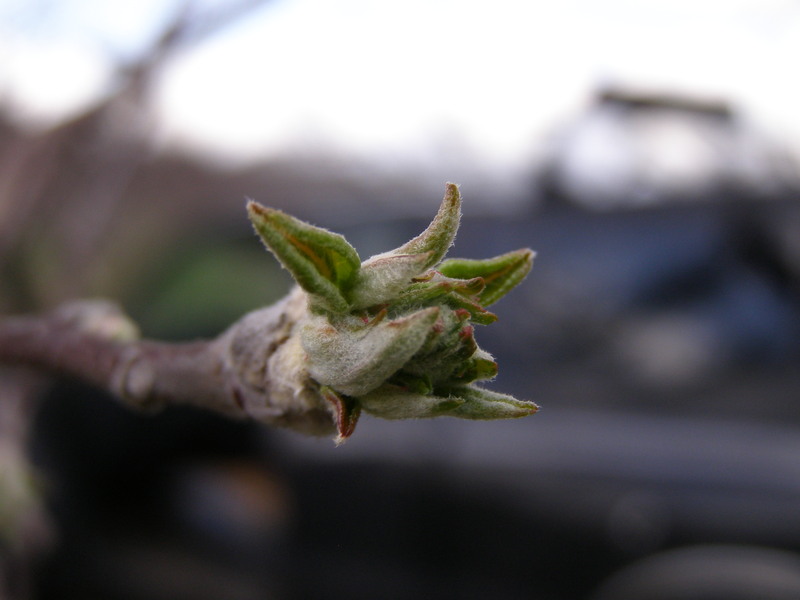 Apple phenology is advancing quickly due to warm weather. According to the NEWA model we are at 6 % ascospore maturity in southern counties. Maturity is advancing quickly now. The current forecast is for rain early next week, at which point the prediction is for ascospore maturity above 10%. In southern counties we are now at green tip to 1/4″ green in most blocks. Copper applied for fire blight suppression should be sufficient for orchards that had no scab last year. Orchards that had scab last year should start controls with highly effective materials. At this point Vangard or Scala at the full rate should be effective, or if you have yet to apply copper for fireblight control, consider adding Vangard or Scala at the low or high rate for added insurance. Copper should not be applied past 1/4″ green unless fruit finish is not a concern. For Rosy Aphid control, 1/4″ green is the latest that Lorsban or Supracide can be applied. Aphid eggs are hatching now and by 1/2″green the newly hatched aphids have burrowed deep into the bud. Other options for Rosy Aphid control after 1/4″ green include Esteem, Centaur, and the neonicitinoids Assail, and Actara. Check with your beekeeper before using neonicitinoids prior to bloom. See the NJ Commercial Tree Fruit Production guide for rates and timings. Oil applications for mite and scale suppression should also start now or soon. At 1/4″ green to 1/2″ green apply oil at 2 gals/100 (or 6 gals/acre for for semi dwarf or seedling orchards). Additions of Esteem, Centaur, Actara, or Assail for Rosy Aphid control may improve scale control. Oil can still be applied in stone fruit, although it may be late for plums and cherries. The addition of Esteem or Centaur will improve scale and green peach aphid control. It’s getting late for leaf curl control in peach, however applications made before any rain should still be effective. It’s not too late for oil applications on pear to deter pear psylla ovipostion. At this point include a pyrethroid to remove adults. See the NJ Commercial Tree Fruit Production guide for recommended products and rates.